A quality, chunky A5 notebook made by the good folk at Notebook Love. 192 ruled pages. This little typewriter is having a Eureka moment. Look very carefully and you'll see it's sitting on a wordsearch of typewriter keys too. What words can you spot? Featuring ruled cream pages (Forest Stewardship Council approved), elasticated closure and a clever little wordsearch on the inside cover too, it is perfect for writers, journalling, to-dos or the thoughtful gift. I love this notebook, the paper is super smooth and the cover is really cute too! Thanks for your review and for being such a great customer, Carol! Love, love, love this notebook! Absolutely perfect for my writing notes! In this modern, electronic, age I still love the crisp, hard, cover of a notebook and the calming effect of simply putting a physical pen to physical paper. I like to jot my thoughts down most mornings. I haven't quite finished my present notebook but to be honest it's already looking a little jaded against my new 'Ding' notebook waiting in the wings. It looks good! This was my first purchase from Notebooklove, but I'm pretty sure it won't be my last. Thanks Notebooklove! We know exactly what you mean about a good notebook, Eddie! 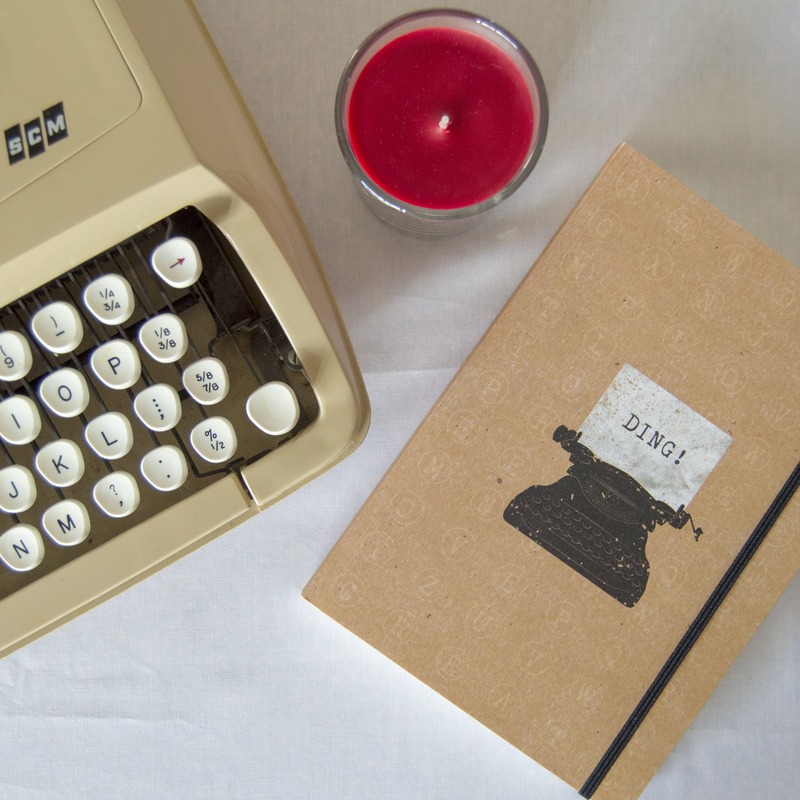 And so glad our Typewriter notebook fits into that category for you! Thanks for such a great review! P.S. This particular notebook was damaged in transit. When I told Notebook Love this, they had a replacement shipped over the following day at no extra cost to me. Brilliant! We love that you have an actual typewriter to hand for your photo. You really have gone over and above! So glad you like it!